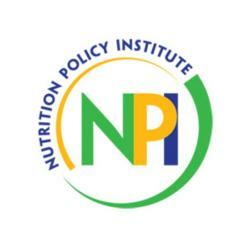 What is the Nutrition Policy Institute (NPI)? The Nutrition Policy Institute (NPI) conducts and evaluates research related to the impact of nutrition and physical activity on public health. NPI prizes research that provides a strong basis for public policies that can eliminate health disparities, especially those stemming from lack of access to healthy foods and opportunities for physical activity. The Institute is housed within the Division of Agriculture and Natural Resources at the University of California. In early 2015 the staff and research projects of the Atkins Center for Weight and Health at UC Berkeley joined NPI. This unification expands the reach and breadth of NPI’s research to support healthy communities. NPI envisions a world in which healthy food, beverages and opportunities for physical activity are accessible, affordable, equitable and sustainable for everyone. What does the Nutrition Policy Institute do? Food banks, emergency food services and federal nutrition programs that reach millions of people. NPI considers effective communication of scientifically valid information to both policymakers and community members to be critical. NPI translates research findings into evidence-based recommendations that provide a basis for effective decision-making. NPI is a resource for the California Legislature and other state, local and federal governmental bodies, providing reliable policy-related input and assessments of the effectiveness of policy implementation.